Strange things have happened to science over the past few decades. “Publish or perish” has resulted in a massive increase in peer reviewed studies, many of which have been shown to be deeply flawed or even fraudulent, often many years after publication. Journals regularly publish paper with import things (like the data and/or methods) retained as proprietary, or only available by permission. It is very difficult to have negative results published, as a consequence, little effort goes into actually checking whether previously published studies were reproducible. Over the long term, of course, reality always wins. The problem is that other scientists often base their work and analysis off unsubstantiated and in many cases non-repeatable work. Given the funding applied to cancer research, and the stakes involved, actually verifying whether “important findings” are actually true should be a priority. Sadly, as this article shows, “leaders” in the field explicitly do not want their result research questioned. That is a deeply perverse interpretation of the scientific method. Foxconn has been discussing increasing automation for some time now. Of course, a significant amount of electronic assembly is currently automated: it would be almost impossible to hand assemble a smartphone circuit board without advanced robotics systems. Replacing people with capital has been a trend since the industrial revolution and it isn’t going to change any time soon. Of course, some of this might be bluster in order to keep workers in line. A robotic bricklaying machine has long been a dream for me. Bricklaying requires a lot of skill, the work proceeds quite slowly, and it is very easy to screw up. This machine appears to place structural bricks of the type common in house construction outside of North America, and that is probably a simpler task albeit one which is still rather labour intensive. Unfortunately, like many things call inventions nowadays, it is unclear whether the machine actually works. I have not been able to find a video of it in operation, just this animation https://youtu.be/Rebqcsb61gY. I remain pretty skeptical about the widespread use of drones for things like parcel delivery, however, there are clearly valid uses for the things. This incident was due to a drone operated by an amateur but that is not the point: getting struck in the head can kill or seriously injure somebody, and flying machines are going to occasionally drop from the sky. You can imagine the damage if the drone had been large enough to carry cargo, and was carrying cargo when it fell. This is an example of a legitimate application of a drone, and this one was the personal property of one of the rescuers. Lifeguards are testing drones to deliver life jackets to swimmers in distress (http://www.roboticstrends.com/article/drone_vs_lifeguard_race_who_will_save_swimmer_faster) and the systems are being used to survey disaster areas. The difference between these and frivolous applications like delivering parcels or taking pictures at a parade is that there is a clear risk reward benefit and the people using the machines know what they are doing. It is hard to imagine an autonomous delivery drone would be able to avoid putting people at risk unless it is delivering to an empty lot. As we have noted in the past, EV subsidies provide minimal bang for the buck environmentally and there is considerable evidence the system is gamed. California is a peculiar place where environmental policies appear based on “truthiness” rather than sound science, so I doubt much will change. The implementation of an income based cap on a small portion of EV subsidies may be indicative of a trend, but it is doubtful this move alone would impact the industry. After all, the average income of a Tesla owner is just under $300K (http://insideevs.com/strategic-vision-says-testosterone-is-what-sells-the-tesla-model-s-to-wealthy-americans/) so a minor reduction in subsidy would not impact a purchase decision. Of course, if political actually starts being applied to the use of taxpayer money to pay for rich peoples’ cars to no significant environmental benefit, that would be the end of the industry. There was a fair bit of excitement over Google Glass a couple years ago. I remain unconvinced that people can handle a constant stream of visual information as our brains did not evolve within the context of multiple concurrent activities. Even our eyes have acute vision in a very narrow field of view. Fighter pilots seem to manage, so perhaps a properly designed display can be managed, given enough training. Although I have never been in a car with a Heads-up Display (HUD) I would have figured the ability to keep your eyes on the road would be a major advantage. Apparently not. I have to admit it is hard to imagine there will be much of a market for driverless Ferraris or Lamborghinis, but I don’t place Jaguars or Land Rovers in the same category. According to earlier articles, including at least one still on their website, (http://www.jaguarlandrover.com/gl/en/innovation/news/2014/04/16/jlr_auto_research_tech_160414/) the company has been working on a host of self-driving features and their cars. Land Rovers in particular, seem loaded with systems designed to decouple the skill of driver when off road though it is hard to imagine the Land Rovers I have seen ever driving the places I regularly take my pickup truck, which has no such systems. Regardless, in the future some degree of autonomous system, such as auto-braking, is bound to be a required safety feature. This is pretty much an advertisement for ZF TRW’s current control systems but it does make a couple of good points. Semi-autonomous vehicles don’t require anywhere near the amount of electronics, and software as fully autonomous vehicles and yet they can accomplish much of the same objective. By decoupling the system at low speeds, as cruise controls do, you remove many of the most difficult tasks which need to be mastered for full autonomy. I figure these sorts of vehicles will be serve as a stepping stone to full AVs. Don’t bother with the video: it is just the guy narrating the article with a couple of pictures thrown in for good measure. Another example of “Muskematics”. Akhita Japan gets about 3 kWh/day of sunshine on average (see http://pveducation.org/pvcdrom/properties-of-sunlight/average-solar-radiation#). At about 15% efficiency (which is high), and 2 axis tracking, they would need about 142 square meters of solar cells per charge (assuming they charge an 80 kWh battery at 20% remaining). My local filling station fills about 20 cars per hour (I live in the country) all day. Let’s say Tesla is only a bit successful and they do 20 per day. That’s just under 3,000 square meters of real estate, 60% of a football field, which I assume is very cheap in Japan. Ignore the clickbait title: it seems everybody wants to be the next Business Insider. This article, and the interesting video, are about Google’s Project Soli, which uses an ultra low power, short range, radar system as a user interface. By using radar they capture 3D information associated with your movements, which you have to admit it pretty amazing. Despite the video, it is not clear how useful such a thing is – like voice recognition, misinterpretation can render a user interface impractical. Nevertheless, the fact a radar system can be put in such a small volume is pretty remarkable. Here is another example of interesting design, however, it is not clear to me how useful the device will be. For the record, I doubt self-diagnosing skin cancer will be a killer app. The headlines around this brilliant stroke focus on its impact on consumers by taxing Netflix and other streaming services, but lawyers have determined that it actually includes all kinds of cloud based services, including SaaS (software as a service). Many business applications have moved to SaaS so this would increase costs of Chicagoan businesses and create an accounting nightmare for service providers. Since it is doubtful cloud service providers would implement the necessary accounting changes to serve such a small market, and since, in many cases, they have no idea where a customer is located, it is hard to believe this will produce much in the way of income for the city. It is bound to cause tech companies to reconsider locating there, however. Cord cutting generally refers to disconnecting from cable or satellite services, which is clearly not the case here. What seems to be going on is that people are simply not buying TVs, choosing to stream content to various forms of computers instead. This is part of a global trend, in particular amount the youth, and it will result in significant challenges for traditional broadcast business models down the road. This need not continue to be a problem for the BBC. Provided they have political support, they’ll just ask for a tax to be placed on broadband services to make up the gap. I guess something hasn’t been invented until Apple copies it, but the article does raise number of good points. As I predicted long ago (1997) the Internet jeopardizes traditional broadcast models (see article 14). Interest in broadcast radio among the youth (a core demographic for advertisers) is on a long slide to oblivion, and in many markets the response has been to lower quality even further. It is worth noting that people still listen to AM radio, or so I am told, so it will take a very long time before FM dies completely. It will happen, however. Despite the hype, the article covers a number of important issues associated with slowing the adoption of Internet of Things (IoT) technology. Open standards are extremely important, as without them the technology will never take off. Of course, companies are promoting their own standards because control of standards lead to the development of tremendous wealth in the tech industry. Another factor with in not addressed in the article is the fact most IoT systems use a cloud based infrastructure which ceases to function once the IoT vendor bankrupts or loses interest in the product. This may not be an important consideration today, but it will be after enough consumers and businesses are left with mission critical non-function IoT gadgets. Don’t believe the hype – $4 to $11 trillion is likely overstated by a factor of 1,000. This article shows the power of the maker movement. You might recall some time ago the FBI arrested the operator of the Silk Road (illegal) drug market by tracking him down in a library and grabbing his computer before he could disable it. This open source device will allow miscreants to be physically distant from their Internet connection, making such an arrest very difficult. Of course, nobody has a lot of sympathy for drug dealers, but the same technology could be used by people organizing against a repressive regime. The spectacular failure of the SpaceX rocket last week was fascinating, but not so much because of the explosive, which was very impressive, but the need many commentators had to explain it away – after all Elon Musk is the greatest human who ever lived (I have actually seen him compared to Einstein), so you have to cut the guy some slack. The same websites which reacted gleefully at the destruction of a Russian spacecraft were sombre and cautious with respect to the loss of the SpaceX one. This article looks at the bigger picture, namely the loss of three ISS supply ships in relatively short order. At this time it appears the launch of a Russian spacecraft today went off without a hitch, so at least the astronauts won’t have to abandon the space station. A while back I read something about super hydrophobic coatings being applied to aircraft as a permanent solution to icing. Rather than waiting while your aircraft is hosed down with antifreeze, a coating would prevent any ice from forming (http://www.theengineer.co.uk/channels/design-engineering/news/hydrophobic-coating-prevents-the-build-up-of-ice-on-aircraft/1014681.article). I don’t know what happened to that, but scientists have moved on to another problem: bug guts. Its hard to believe bug guts have a 5% impact on fuel economy, but, hey, who is going to argue with somebody who studies bug guts at NASA? I figure they should team up with these guys http://scitechdaily.com/liquiglide-nonstick-coating-coming-to-consumer-goods/ so the bug guts will slide right off. A few weeks ago my son sent me a link to a Google Photo classification which had classified our cats as dogs. I did not immediately conclude the app was racist (speciesist? ), even though Google EXPLICITLY declares itself a dog company (https://investor.google.com/corporate/code-of-conduct.html#toc-dogs) and tries to exclude cats from its offices. No – saner minds prevailed and I realized the algorithm needed some work. 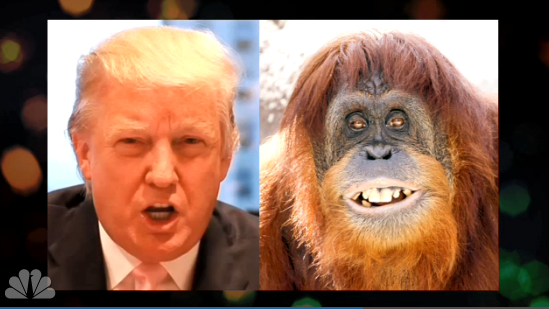 Indeed, if Google Photo had correctly classified Donald Trump as orangutan (https://thegeeksreadinglist.files.wordpress.com/2015/07/24ce7-trum-orangutan.png) nobody would have said a word. Its not racist: it just software.